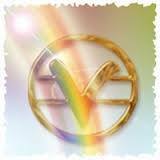 Hello you prosperous beings I would like to help you on the Avenue of Abundance. If you decide to join then you will get these posts directly to your email. How handy is that? Take WISDOM with you wherever you go! Sometimes we lose our way so reviewing any blog post that speaks to you hopefully will help get you focused and back on the path. Good Day you Beings of Light! Click the donation button to make a loving donation to Emerging Spirits Center. You will be taken to PayPal where you can make a one time donation in any amount you choose.